Nothing is more evident of this than after our visit to the Egipto neighborhood, one of the underprivileged communities in the hills above the historic Candelaria neighborhood and the location of the Breaking borders tour from Impulse Travel in its selection of Bogota tours. “We are glad you allowed us to tell our story, but most importantly you gave us a chance, the world doesn’t give criminals like us many chances.” Said Jaime the leader of the neighborhood and former gang leader. 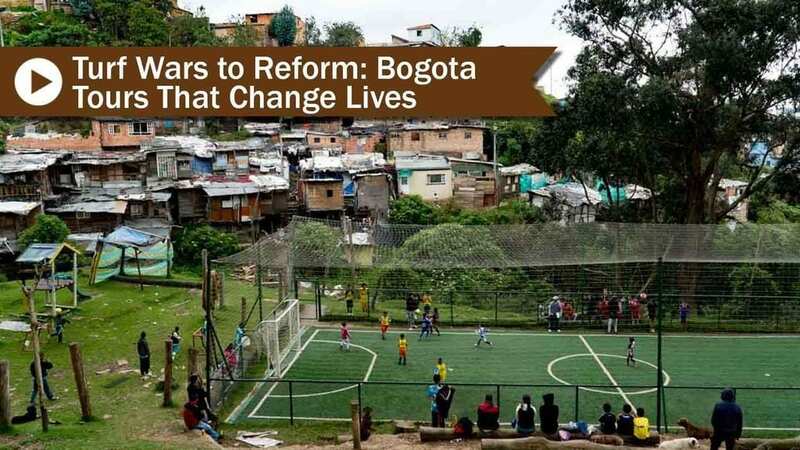 Egipto is a neighborhood in transformation, once the most dangerous place in Bogotá, because of its 27 years of violent turf wars with rival gangs in the area, which created an endless spiral of crime, theft, and murder with no opportunity for future for its residents and their children. If the residents didn’t end up dead, they were injured or landed in jail. Through personal development, Jaime put a stop to the wars, with a deep-rooted desire to create a better future for his children, and the members of the community. 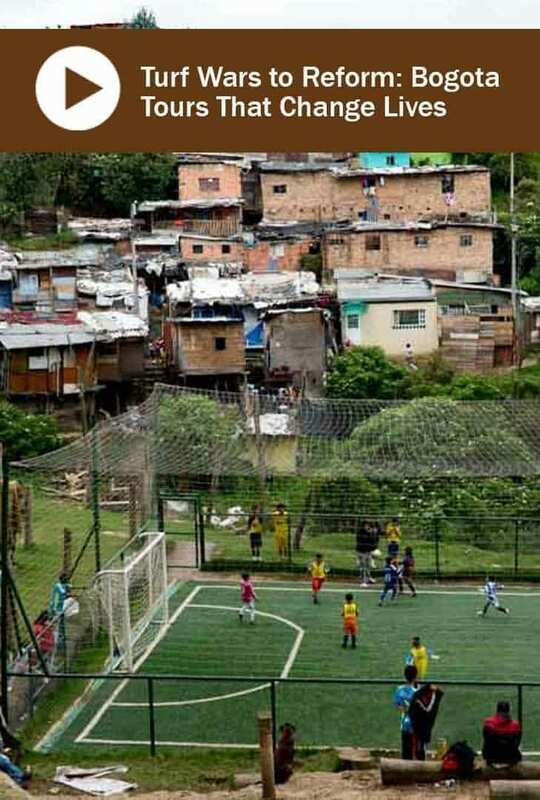 On this tour, you will witness the underprivileged existence of this neighborhood, and the futbol field, sponsored through donations that gave the children in the community a more purposeful activity to foster relationships and sportsmanship with the children of the rival communities. We wandered through the cobbled stone pathways through Royal street, as Jaime told us the story of the neighborhood explained by him and visually by the colorful graffiti by well-known artists that helped in transforming the neighborhood. This is the best thing that tourism and what Bogota tours like this can do for anyone is create an opportunity and income for people who would never have the chance. For travelers, it's the experience of travel that can truly transform; a catalyst to understand, and empathize what life could be like without the gift of privilege, safety, and security that many of us are born into. We were both truly impacted by this tour, and hope others will open themselves up to a tour that might initially feel very uncomfortable and unsafe and to just listen and be present, and open to the experience. For more tours that can transform not only communities but transform you views check out these posts here.